More than that, he needed a staff. Specifically, he was seeking a pole that would be worthy of Prospero, the Duke of Milan, in the production he is directing, the Shakespeare play The Tempest. Radway had initially collaborated with his theatrical designer, Chris Haig. But the two were unable to come up with anything appropriate. "I had things that weren&apos;t gnarly enough. Things that looked too much like a walking stick. Or a log," he says. But then, in a development almost fictitious, the solution came by way of a storm, perfectly evocative of The Tempest. A late-June cloudburst blackened the afternoon skies throughout the area, and the torrents of rain and whipping wind battered an ancient oak tree on Radway&apos;s property. Once the downpour had cleared, he found a large branch had broken off. He picked it up and immediately knew: He had found Prospero&apos;s staff. Solving that prop issue is one of only a number of challenges in bringing a Shakespearean drama to a variety of outdoor venues. Moving around doesn&apos;t enable much in the way of sets, so Haig, as set/prop/special effects designer, has relied more on imagination. "We&apos;re using a set of eight old steamer trunks," he explains. "They can be moved around to suggest settings and places. They&apos;re also good for storing and transporting props. We wanted to make it easy for the crew and the actors to break it down in the dark, when the play is over." 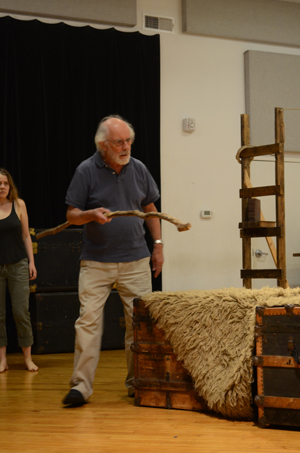 The story of The Tempest begins with a dramatic shipwreck at sea. Haig says that the trunks will be arranged to give the impression of a ship, with a wheel and an anchor added to complete the illusion. "We then use 30 feet of blue fabric to show the ocean tearing apart the ship," he says. Radway found the use of steamer trunks to be an inspired choice. "Much of this story involves travel and mystery, and use of the trunks heightens that," he says. The lack of intricate lighting or the ability to close curtains between scenes means the action is continual and fluid scene to scene and act to act. 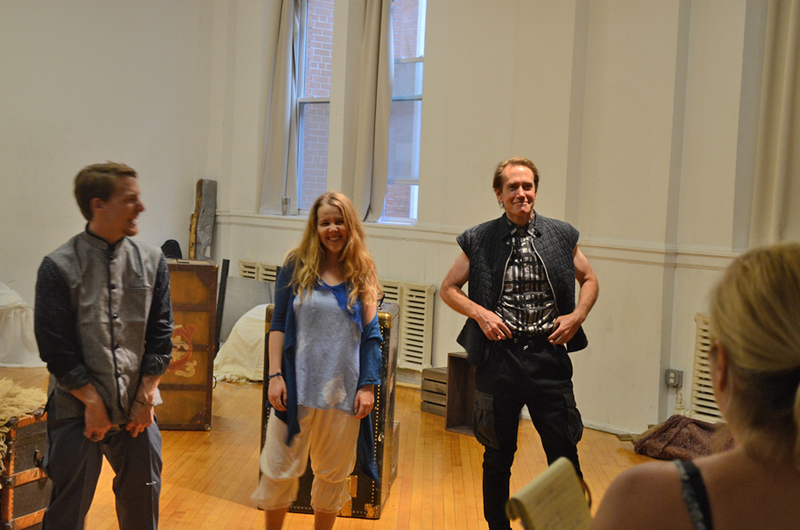 "This is theater the way it was staged in Shakespeare&apos;s time," Radway states. "By necessity, we&apos;ve got to show all the wires and strings associated with stage effects, but we&apos;re going to hope that the audience chooses to believe anyway. We&apos;re relying on the suspension of disbelief, the same way the casts at The Globe Theater did for the groundlings," he says, referring to the commoners who paid one penny to cram together and stand while watching performances in Elizabethan times. 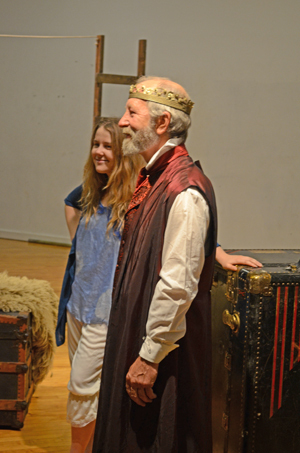 The company makes a great effort to ensure that the story is accessible, even to audiences of varying ages and exposure to Shakespearean prose. "We wanted to let the play do the work," he explains. "This is not all smiles and jazz hands, but we wanted to make sure people know what&apos;s going on. After about 15 minutes, people seem to adjust to the language, and then it becomes a matter of clear storytelling." Some concessions were made to ensure that modern audiences can follow the plot. Radway worked diligently to make some cuts and streamline the text, while still remaining true to 17th century literary conventions. "We trimmed some of the poetic repetition and concentrated on advancing the story." Radway continues, "We also took out things that may have separated the audience from the action." For example, in the rhythms of the original writing, the mentions of the city of Milan accent the first syllable and not the second, coming out more like "MEE-lan." As a nod to modern ears, however, the change was made to the more recognizable Mi-LAN. The cast of 13, all members of the Commonwealth Classic Theater Company, has an impressive pedigree. Playing the wizened Prospero is David Howey, whose resume includes productions with the Royal Shakespeare Company and the Royal National Theatre, both in London. As a 30-year veteran of the stage, he has appeared with many of the greats of the British theater, including Laurence Olivier, Anthony Hopkins, Ian Mckellen and Judi Dench. 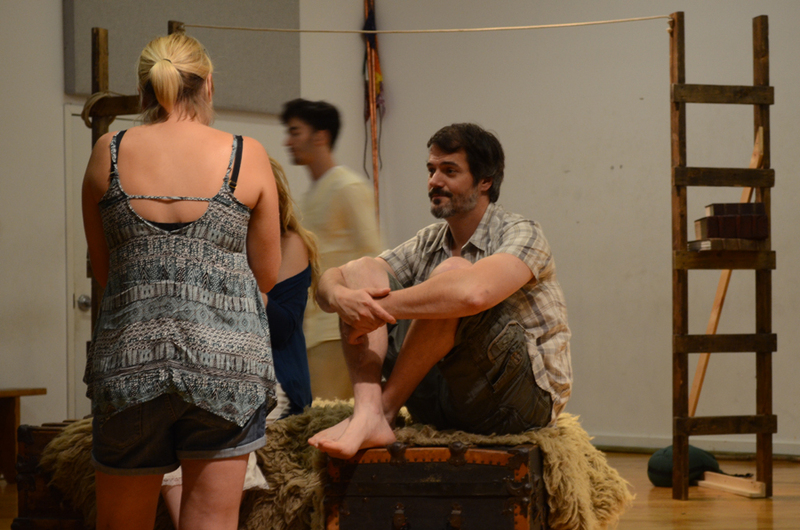 "This play is perfect for summer," Radway summarizes. "It&apos;s one of Shakespeare&apos;s shorter works. But it&apos;s also one of his later ones; so this is Shakespeare at his peak. It&apos;s a ‘kitchen-sink&apos; play, with comedy and drama and the central themes of empathy, forgiveness and letting things go. And it works really well in the lush settings we&apos;re playing." On that latter point, I ask Radway about staging the play in the rain. He confirms that in most instances, the actors will continue even through a slight drizzle. Should the weather become more tempestuous, the action will either move inside or, for safety sake in terms of lightning, be postponed. "We do our best to get thorough," he says. There is no charge for admission; however, several shows invite donations and at-will offerings. Within the text of the play, Prospero muses: "We are such stuff as dreams are made on, and our little life is rounded with a sleep." Increase your chances of sweet dreams and restful sleep by overnighting in a plush hotel room in Valley Forge and Montgomery County. Explore our website for a list of the possibilities.